Brushing Dog Teeth: Is It Really Necessary? Brushing Dog Teeth: You're Joking Right? No kidding! 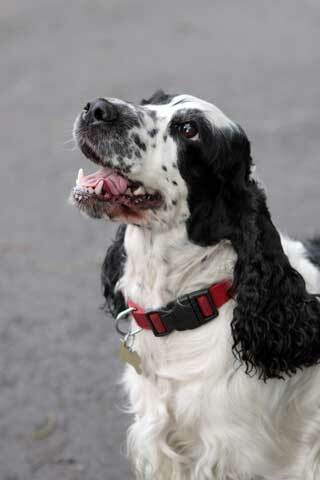 Brushing your dog's teeth will help prevent build-up of plaque and tartar which is essential to good oral hygiene as well as your Cocker Spaniel's overall health. Learn why it's important to brush your dog's teeth and pick up some some useful tips and techniques on the way! Is It Really Necessary To Clean Dog Teeth? The short answer to that is yes! If your dog's teeth aren't brushed regularly, the gradual build-up of plaque and tartar could lead to gum disease which can be painful. It can also lead to infection, an increase in bacteria, and subsequent serious health problems for your little guy. When tartar forms on the gum line it often leads to inflammation which will eventually cause the gums to separate from the teeth leaving spaces where bacteria can breed. Where bacteria is prolific, it can lead to abscesses, rotting and loosening of the teeth, bone deterioration and eventual tooth loss. Not good huh? 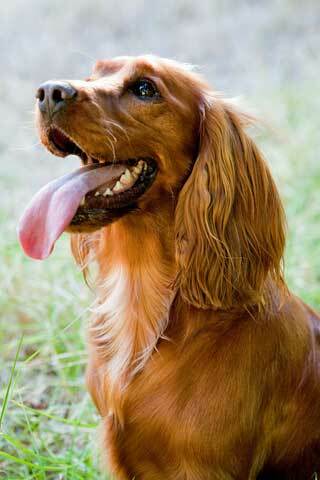 Even worse, when bacteria from an infected gum or abscess enters the bloodstream, it can cause serious harm to your pet's vital organs (kidneys, liver, heart) and can affect the overall health of your Cocker Spaniel. Apart from the obvious signs of gum disease, bad breath is another, so if your dog's breath is really bad, it's possible he has gum disease, an infection and/or high bacteria levels in his mouth. Periodontal disease can't be reversed, but the good news is that brushing your dog’s teeth can help to prevent gum disease in the first place! In addition to brushing, feeding your Cocker Spaniel dry dog food (kibble), biscuits, rawhide bones, and dental sticks, and letting him play with hard chew toys, can all go a long way to keeping his teeth clean and healthy. If your dog already has a lot of tartar on his teeth, I would advise you to make an appointment with his vet for cleaning and de-scaling because it's not possible to remove tartar simply by brushing alone. You can then begin a new regime of dog teeth cleaning with complete confidence! When brushing your dog's teeth, it's advisable not to use human toothpaste because it foams up too much and your pet will probably swallow most of it anyway which could upset his little tummy. You can buy specially formulated dog toothpaste, flavored with beef, chicken, and many other appealing tastes that doesn't foam and won't harm your Cocker if swallowed. You can even buy him his own special doggie toothbrush! Don't be tempted to use a 'human' toothbrush because the bristles will be too hard for his mouth. Okay, perhaps a baby toothbrush might do, (at a push) but the ideal brush for your dog will have an angled head for more accurate brushing and very soft bristles. If you feel a toothbrush is a step too far for you, you might like to try using a finger toothbrush before gradually working up to a canine toothbrush. As the name suggests, it is a rubber cap with a knobbly surface, which fits onto the end of your finger and you rub it across and around his teeth and gums. Brushing My Dog's Teeth: How Often? Brushing your dog's teeth kills bacteria, which is why in an ideal world you would brush every day for beautifully clean and bacteria-free dog teeth. However, if you (and your Cocker) feel this is 'too much too soon', you could begin with once a week, and increase the frequency when you feel your dog is becoming more comfortable with having his teeth brushed. If you have a puppy, or you have adopted an adult Cocker Spaniel, who is not familiar with having his teeth brushed, I would advise you to accustom your dog to having his gums and mouth inspected, and his teeth brushed. This will pay dividends in the long run! Brushing Your Dog's Teeth The Easy Way! Okay, if you're ready to give it a try, here's how! First of all, find a quiet place away from distractions. Place a small amount of toothpaste onto his toothbrush and work it into the bristles, otherwise it will either fall off into his mouth and he'll swallow it, or he'll try to lick it off the brush. Rubbing the paste into the bristles will definitely increase the chances of the toothpaste actually reaching his teeth! You can either ask your dog to lie down or sit. It's a matter of personal choice. My preference is for Max to lie down and lay on his side because it relaxes him more. Lift up his upper lip and begin brushing gently, either in a circular motion, from side to side or back to front. It doesn't really matter so long as they are brushed. Do this for approximately 10-15 seconds and don't forget to brush his gums too (very gently) to help keep them pink and healthy. Next, pull down his lower lips and brush his bottom teeth and gums in the same way. Be very gentle on the gums. Don't forget the back teeth, as this is where most of the plaque and tartar will accumulate. Gently turn him over and begin brushing the other side in the same way. There's no real need to brush your dog's front teeth, but if you feel you want to, (and he'll let you!) be very gentle as they're quite sensitive. Praise him if he doesn't make a fuss! Don't worry about the inside surfaces as his tongue and the actual process of eating will help to clean them up. Cleaning your dog's teeth should be kept low key. Take it slowly and gently and if your Cocker Spaniel sits quietly while you work, praise him and reward him with a small (dental) treat or a few games afterwards. Well, we know that perseverance and a gentle approach to your dog's dental care can not only improve the state of his teeth and gums, but can actually help him to live a longer, happier and healthier life - now, isn't that a big enough incentive for brushing his teeth? PS: If you have a puppy you might like to get started now and get your puppy used to the feel of a toothbrush in his mouth so that when it comes to the real thing, there won't be any tears before bedtime!